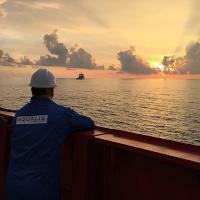 Marine and offshore engineering consultancy Aqualis Offshore has signed a frame agreement to provide marine services to Aker BP. Under the Frame Agreement, Aqualis Offshore will provide marine warranty surveyor and marine services to Aker BP’s fixed platforms, mobile units and subsea fields on the Norwegian continental shelf. Aqualis Offshore’s scope of work covers loadouts, transports, installation, towages, moorings, rig moves and vessel inspections. The agreement is valid for five years. “We find it very exciting to be a part of Aker BPs future. We have supported Aker BP in the past and are confident that our experienced and cost-effective team of consultants will be a good match for Aker BP’s highly ambitious plans offshore Norway,” says Dr. Bjarte Røed, director of Aqualis Offshore’s Norwegian operation. Aqualis Offshore, part of Oslo-listed Aqualis ASA, will support Aker BP with marine services from the company’s offices in Norway. Aqualis Offshore is a specialised marine and offshore engineering consultancy focusing on the shallow and deep-water segments of the offshore oil and gas industry as well as the offshore wind industry.